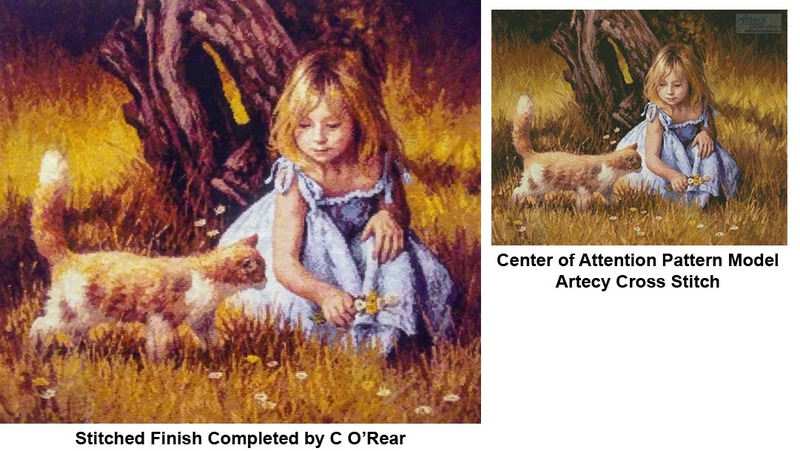 Center of Attention Cross Stitch Pattern to print online. 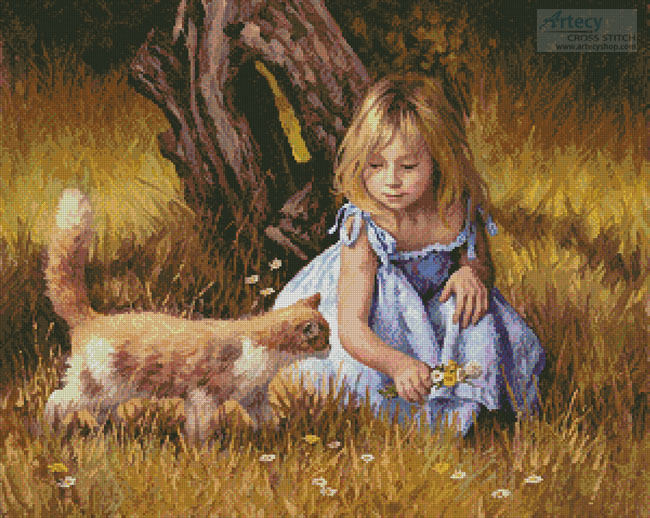 This counted cross stitch pattern of a Girl and Kitten was created from the beautiful Artwork of Jim Daly. Image copyright of Jim Daly. All Rights Reserved. Licensed by The Ansada Group, LLC., Sarasota, Florida.